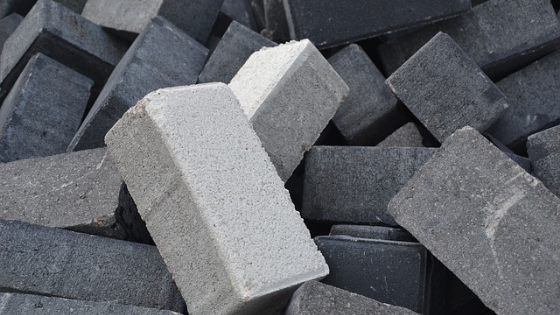 When looking through different kinds of sealers for exterior concrete, there are a few things to keep in mind. 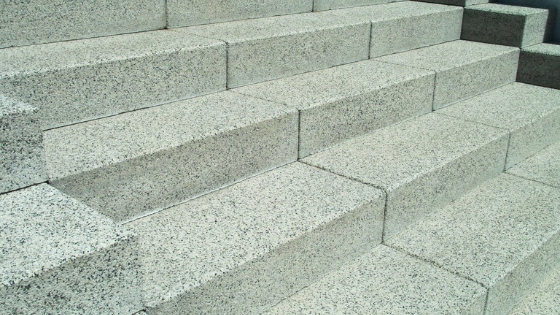 We are here to help you to understand what the differences are between different types of concrete sealers and which is best to use in exterior situations. If you are ready to invest in getting your commercial property painted, it's important to know what your building needs. What areas of damage do you have? 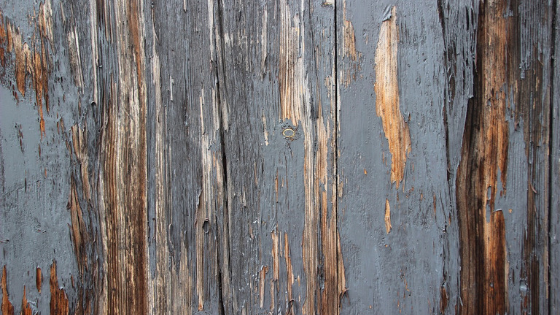 What parts of your building are peeling or faded? Take the time to find out. 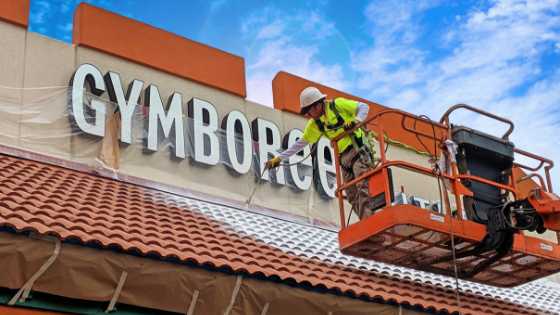 Are you thinking about painting your commercial business, but are not sure if the return is worth it? Whether you've just bought a business and you're thinking of painting it, or it's been a while since your facility has been updated, it's worth calculating the cost. Nothing is more irritating then commissioning a project just to be disappointed with the end result. 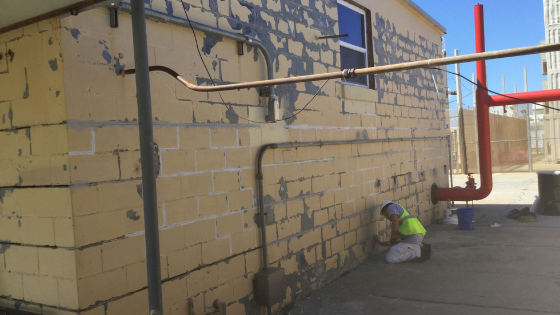 If you've had your facility's concrete block painted recently and you are starting to notice that the paint is chipping, fading, or cracking, the job may have been done incorrectly. Let’s face it - if you live anywhere in the US, you have more than likely experienced some form of harsh weather. Be it thunderstorms, hurricanes, hail, or flooding. Any one of these can wreak havoc on your commercial business. 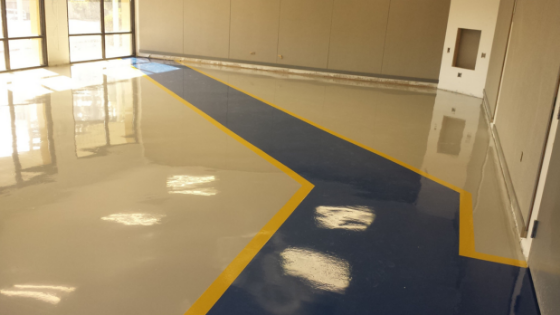 Why Use Safety Striping on Your Facility’s Flooring? Whether you own or help to maintain a commercial facility, you know that certain safety measures are required for the good of your workers and clients. The strict rules and guidelines created by OSHA can help prevent accidents and losses. 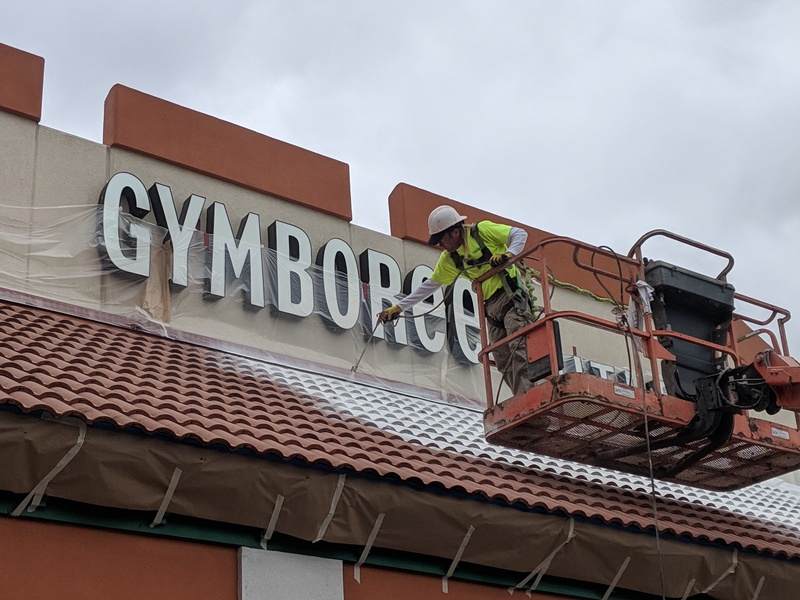 Being in the commercial and industrial painting business, we know that safety is to be our top priority for not only our employees, but for those that are in and around the areas that we are working. 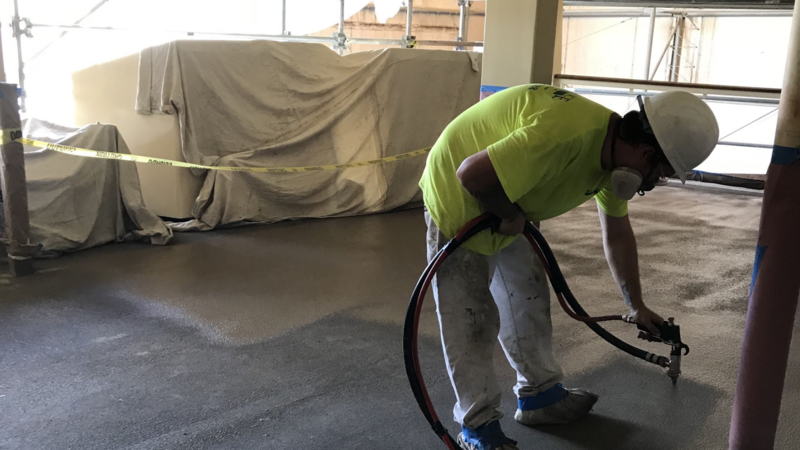 If you are seeking a coating to use for your next project that is good for your team and for the environment, you're in luck. There's many options available on today's market that fit the bill. Professional painting contractors know how important low and zero VOC (volatile organic compounds) paints are and how well they work. Now that the weather is getting cooler, it's an excellent time to start preparing for the rainy season that is ahead of us. 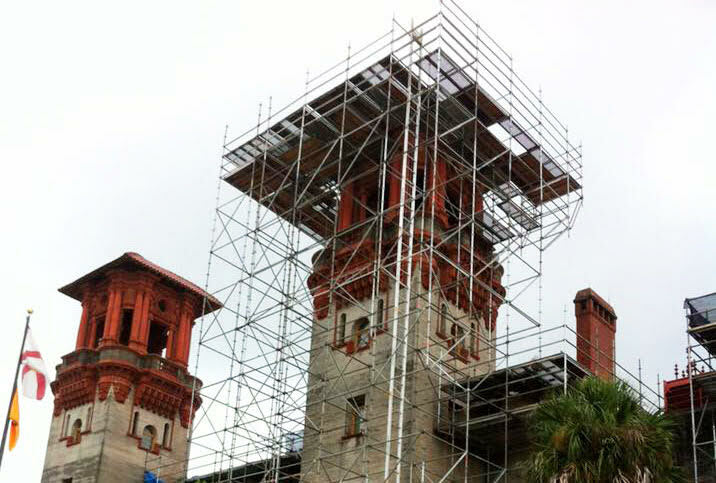 Part of that preparations is care for your roof.